A looped video piece formed from further sequences of studio photographs and the site's ambient sound, with the collaboration of the church's choir. 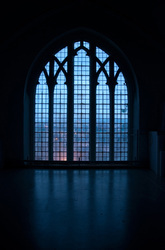 The work's round-the-clock duration is reflected in its title, as is the ecclesiastical Latin of the sung antiphonal verse whose ancient text and melody hover in and out of the real-life soundtrack. 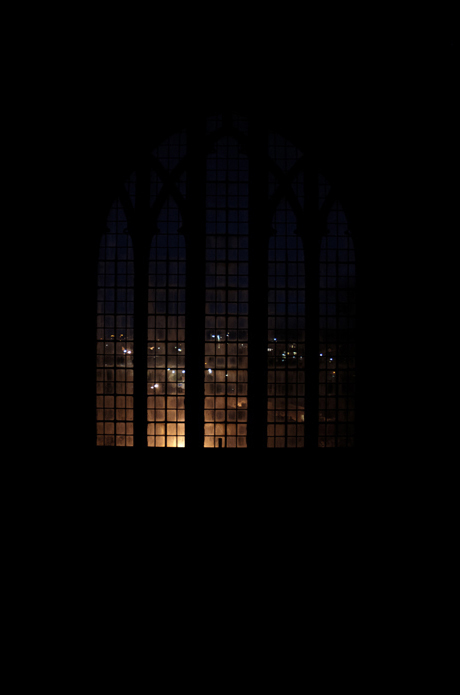 Digital and analogue processes combine in an attempt to map hope and experience to the passing of time. 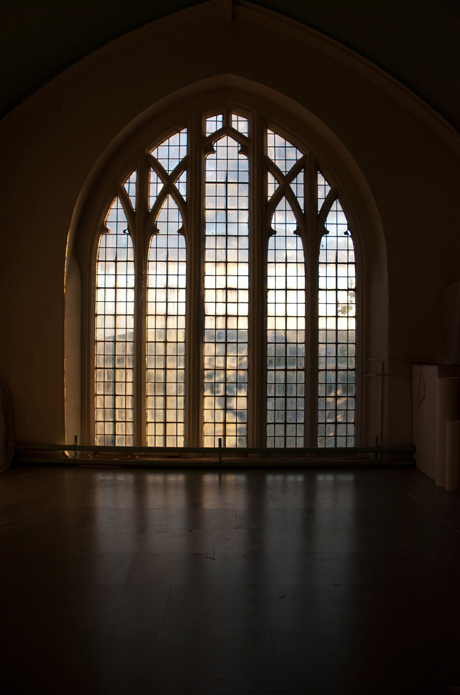 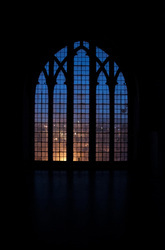 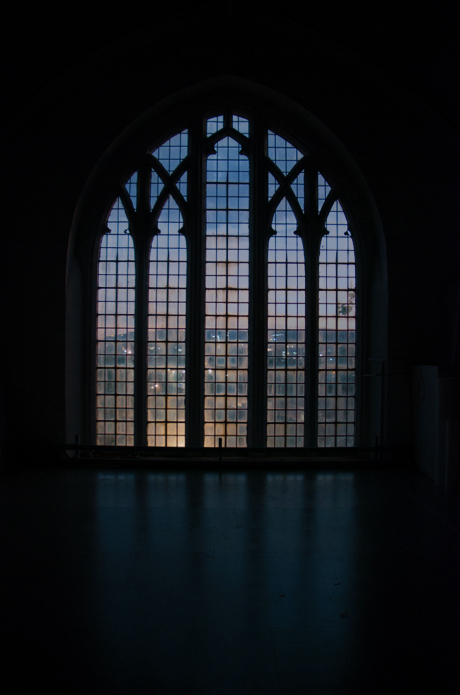 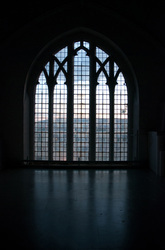 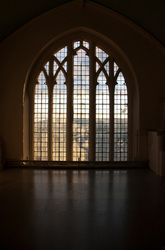 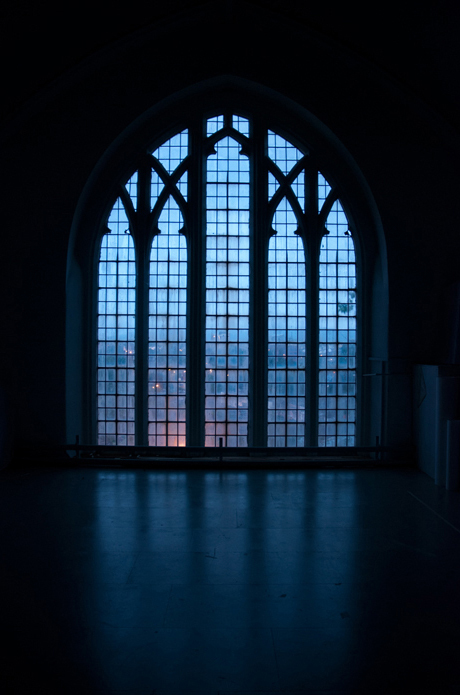 Nine photographs from a sequence of 168 taken at 5-minute intervals from before dawn to after dusk in mid-December are joined to form a composite photograph depicting the West Window of the church, and its view across the city of Bristol. 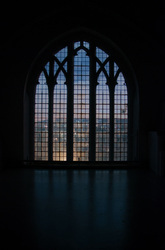 The passage of time is captured from the studio - the internal space of the image. 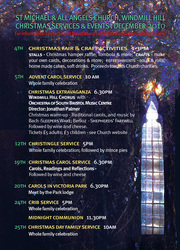 Recalling ecclesiastical musical heritage, the title of the work reflects the season of Advent. 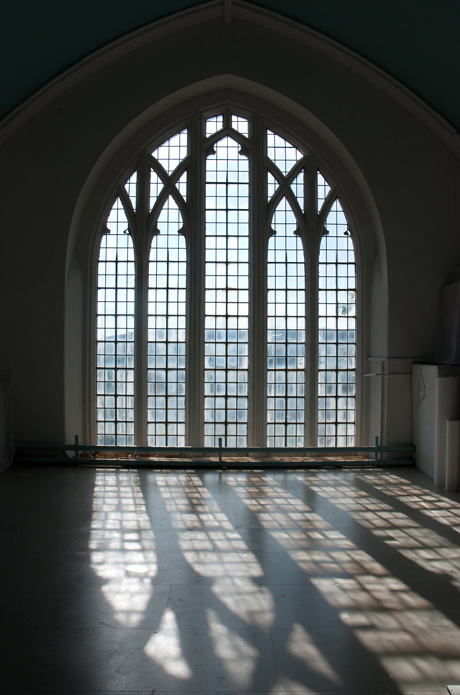 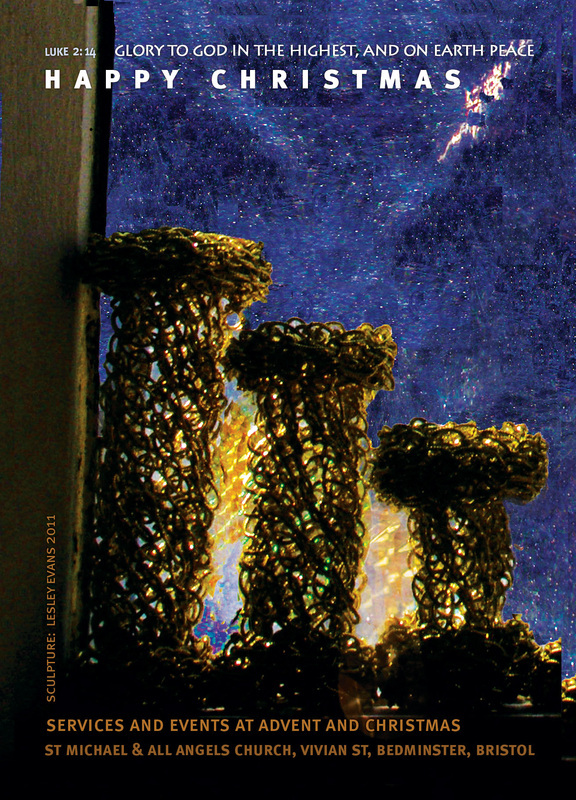 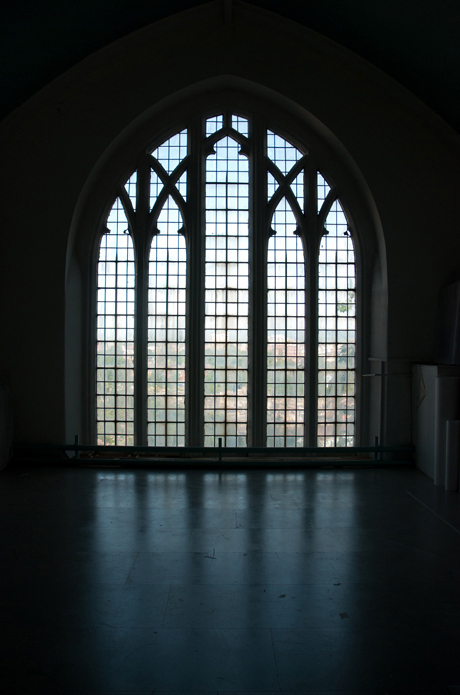 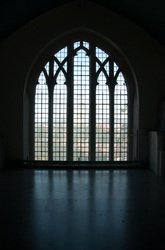 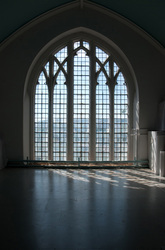 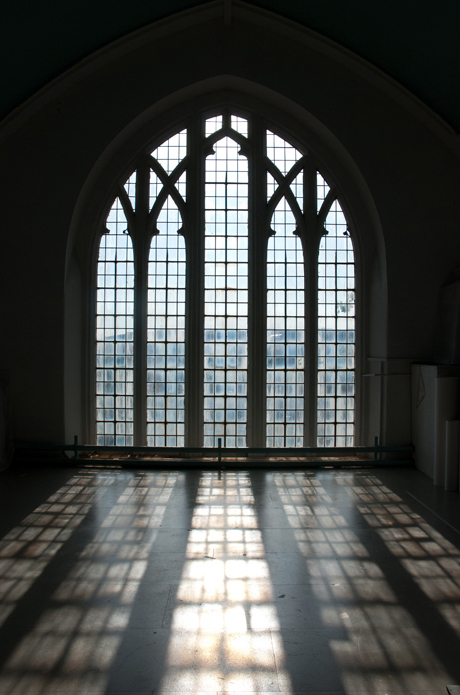 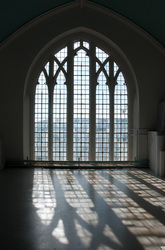 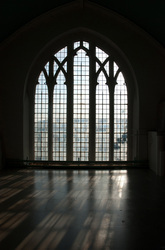 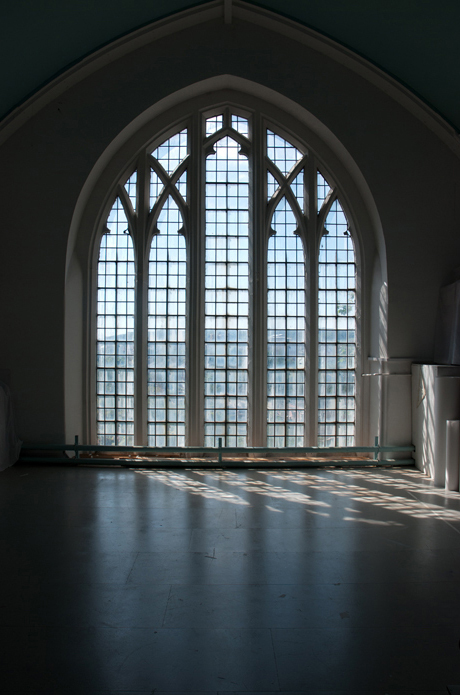 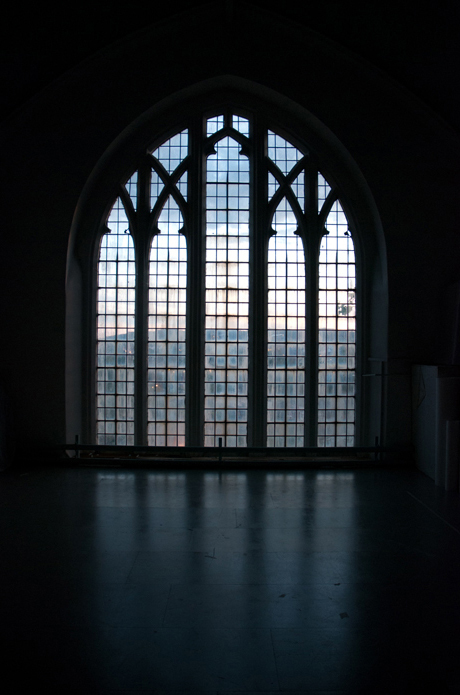 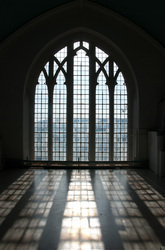 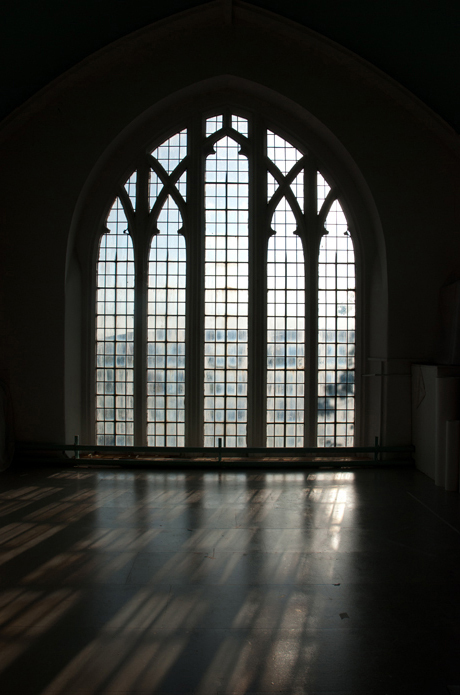 From the studio West Window to individual panes and views, I was inspired by all the church's windows. 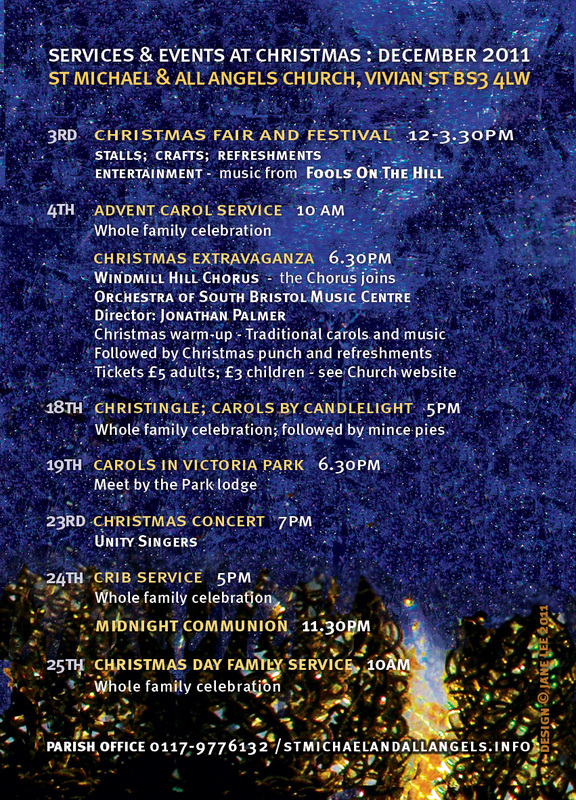 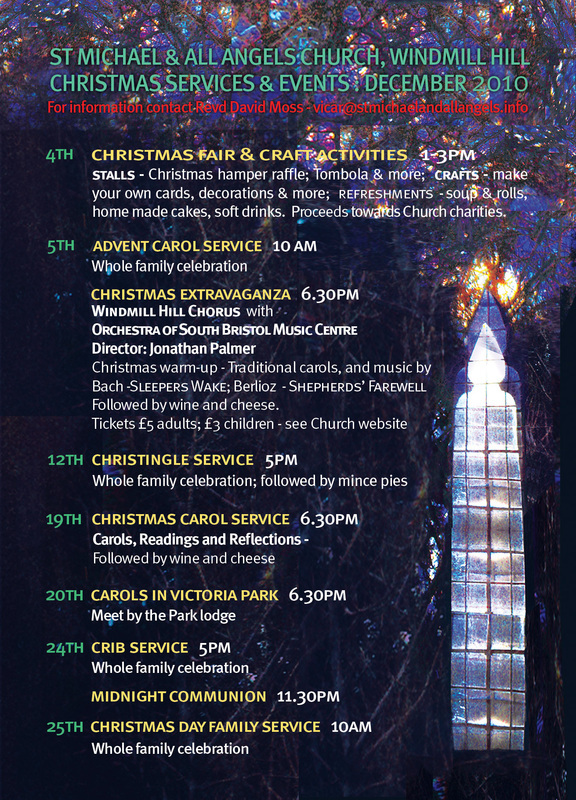 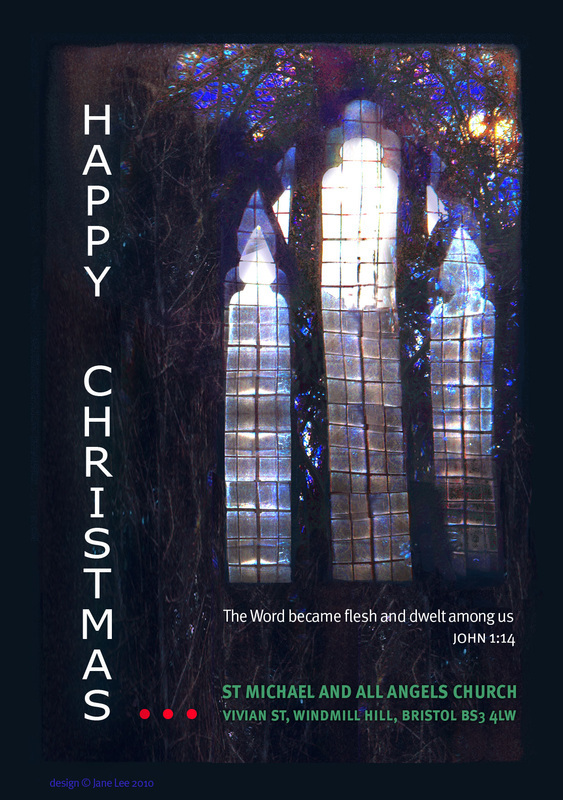 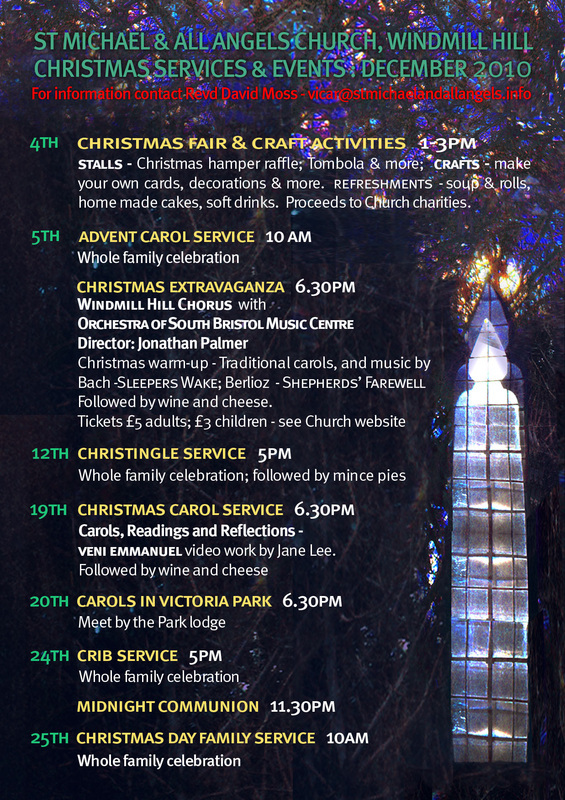 With the church new to commercially printed advertising, I was asked to design Christmas advertising for services and events that could also be enjoyed as a Christmas greeting. 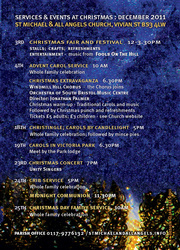 Flyers were a simple but effective device and did both: people enjoyed the imagery, so the flyers were frequently given away as personal cards – often enough finding their way onto fridge doors and mantelpieces. 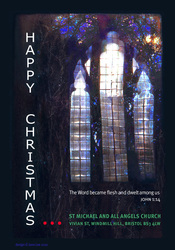 Touching base with neighbours at Christmas.